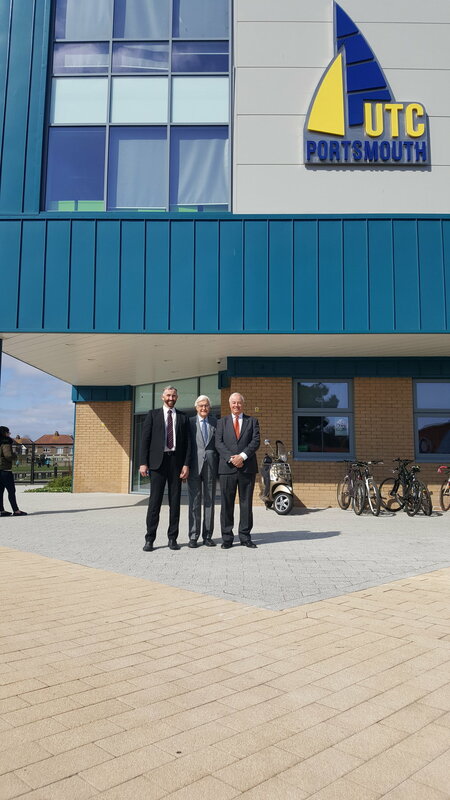 It was a great pleasure to welcome Lord Baker back to UTC Portsmouth today, a year after his first visit. Lord Baker created the UTC movement and spends a great deal of his time visiting all of the UTCs nationwide. So, his expertise and insights into STEM education for 14-19 year olds is unparalleled. He is passionate about adding value to the education system by UTCs helping to solve the skills crisis across the country. His comments gave us further reassurances that UTC Portsmouth is in an exceptionally good place and is delivering very well on all fronts. He also wished our Royal Navy Engineering teams luck today when he visited the event in Gosport.